Attention All Women of ALL Body Shapes And Sizes Who Want to Get Rid of Cellulite Once And For All.. Grab your hips or thighs. 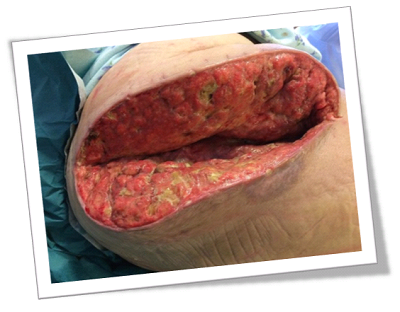 You have a hand full of UGLY, NASTY, totally UNAPPEALING Cellulite clumped right in your hand. Right? ... Just to hid your UNSIGHTLY cellulite condition. Some “experts” suggest that YOUR cellulite is caused by "natural" mysterious intra-working of the fat cells and a genetic predisposition. There's nothing "NATURAL" about cellulite! While these factors may set the stage for cellulite, it’s NOT the PRIMARY FACTOR. It's just a lame excuse and failure to admit the real cause. If you want to, and I mean you really want to get rid of cellulite once and for all, and FINALLY be free of it... You Have to Get to The Root Of The REAL Problem. You see... There's money to be made in costly cellulite procedures such as the surgical procedure liposuction and expensive spa body wraps. Such "tactics" HAVE be done continually to give your cellulite a "smoother appearance. Forget the expensive surgery (usually not covered by insurance) and the cellulite body wraps that last only 2-3 days. They are wasting your time and money and in the end, you still have that cellulite. You see, up 'till now you've been eating the average "healthy diet" recommended by mainstream media. The general mainstream diet consists of "healthy" pre-packaged foods labeled. fat-free, low-sugar, low-sodium, low-fat, sugar-free, sweetened with aspartame, etc. More than half the population are consuming these cleverly named "health-foods" HOWEVER, the same people are getting fatter and packing on hoards of YUCKY cellulite at lightening-speed. Pre-packaged and other man-made "food items" labeled "healthy" are void of any nutrients whatsoever, and packed with chemicals. One of the PRIMARY reasons YOU have Ugly Cellulite is because your food choices are chalk-full of CHEMICALS and TOXINS, cleverly named "ingredients" by the FDA. In the last 60 years people have been plumping-up, getting down right fat, forming a VERY UNNATURAL fat just beneath the layer of their skin called cellulite. During these same 100 years the food manufactures have been adding CHEMICLALY-LACED ADDITIVES to the food supply to increase flavor, texture, appearance, shelf-life, etc. The 20th Century welcomed the "synthetic revolution" which includes the processed food industry, the pharmaceutical industry, and the chemical industry. These 3 "synthetic industries" influenced the food supply which gave the public a false sense of security about the safety of it's food and medicines. 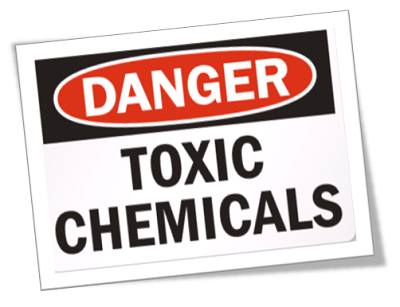 These chemicals CANNOT be processed and digested by the human body! YOUR body processes and digests vitamins, minerals, and other nutrients. Your body CANNOT process "ferrous sulfate, hydrogenated oil, sodium acid pyrophosphate, high fructose corn syrup, mono and diglycerides, xantham gum, polysorbate 60, yellow 5, red 40, etc." I mean which nutrient group do these additives fall under for health and wellness? They DON'T. They contribute to fat gain and the formation of cellulite when continually eaten. William Barnhill at the Washington Post states, "Cellulite is not normal fat; it is a gel-like substance trapped in lumpy, immovable pockets of water, fat and toxic wastes just beneath the skin. Those deposits are created when the kidneys, liver and digestive system fail to adequately eliminate wastes." 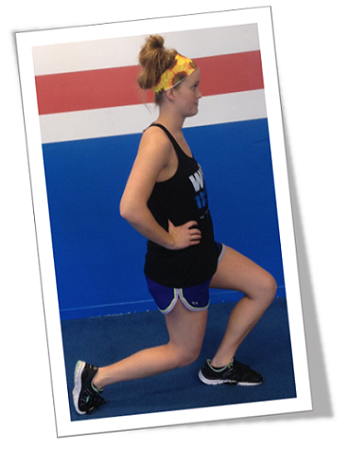 You haven't been doing cellulite-targeting exercises properly, in the right order, or for the recommended amount of time. Doing your basic leg workout just isn't going to cut it when it comes to tackling cellulite. You can use certain strategies to target areas of the body like the abs, thighs and glutes, and reduce body fat and cellulite. Targeting cellulite is a form of spot reduction. You are choosing areas of the body to target train and reduce. Scientifically, it CAN be done. You can tackle cellulite by maintaining healthy circulation and reducing fat in the area. Muscle is metabolically active and therefore it generates heat. Fat and cellulite, on the other hand, are metabolically inactive and don't generate anything, so it’s pretty much cold to the touch. Go ahead, feel one of your most muscular body parts and feel how much warmer it is than one of your cellulite areas. Do you FEEL the difference? Blood flow is necessary to break up fat and cellulite to mobilizing it so it can be removed from the body. Oxygen and blood flow help to burn fat and cellulite more efficiently. If you have been doing exercises for your cellulite-infested area's and haven't noticed any changes at all, changes are you are doing the wrong exercise and doing your exercises in correctly. Listen, I'm not going to tell you some sob story like I use to be grossly overweight and plagued with unattractive cellulite. That would be a flat out lie and I WON'T lie to you. I've been in the fitness industry for 30 years helping clients lose fat and cellulite, and transform their bodies. As I said, my clients wanted a cellulite solution so I set out to crack the cellulite code and my findings were nothing short of SHOCKING when I discovered the REAL Cellulite Secrets and How to Get Rid of It! I harped upon a breakthrough that allowed my clients to literally BLAST the cellulite right off their body, and at the same time lose excess body fat. I mean, how AMAZING is that!? With my findings, I developed a 7-step system to Get Rid Of Cellulite Naturally in the shortest time possible. Most people using my 7-Step Cellulite Treatment System report a 10% cellulite reduction in as little as 10 days! Here is a Before and After comparison of Yvette after using The Cellulite Cure Program after just 1 Month! I created the Ultimate Cellulite Treatment and Cure with my clients in mind. With my studies I gathered I created the 7-Step PROVEN Cellulite Cure that makes getting rid of cellulite like child's play. Literally Get Rid of Cellulite Once And For All! "I just wanted to tell you how much I LOVE your eBook The Cellulite Cure. It's a real eye-opener with some of the best information I have ever come across. I have been applying your 7-step program to remove cellulite and I noticed results in a week and a half! I never thought my legs would ever look good again. Not only do I see the difference, but so does my friends and family... and that's saying a LOT! Thank you so much for such straight-forward information, and thank you for sending me additional eBooks to help me with my cellulite-free journey." "I just have to say that I have seen and tried TONS of cellulite program with very little success and much frustration. I happened across your website, and via your honest approach, decided to invest in your 7-step cellulite cure program. Now, mind you I'm 45 years old and honestly didn't expect much in the way of cellulite reduction as you so whole-heartedly preach, but I must say I was flabbergasted at the changes I saw in just under 2 weeks. I'm always forced to look at myself in the locker room when changing, and to my surprise when I looked this time I can honestly say I saw a very noticeable cellulite reduction. I was so excited that I was bragging about myself to the ladies at work. Thank you, thank you, thank you SOOO Much, Karen!" I just wanted to send you an e-mail of thanks. I've struggled with cellulite since I was 20. I tried every anti-cellulite product I could find, but nothing seemed to work. Disheartened, I purchased your eBook, The Cellulite Cure. What I read was a new concept. I am happy to say that my cellulite has reduced remarkably in just 10 weeks. Not only that, I lost 9 pounds, without even trying! I feel better and look healthier. I also wanted to share with you that I went out and bought a 2 piece swimsuit. Something I haven't worn since I was a teenager. I feel GREAT! Thank you so much. I was at a complete lost until I found your book online. I will give you COMPLETE and TOTAL access to THE secret insider cellulite treatment information that only a small percentage of the "fitness experts" (NOT HEALTHCARE INDUSTRY) know about and use. It's an easy plan that outlines a simple and straight-forward 7-step system which makes getting rid of cellulite so easy that your boyfriend or husband will be bragging about you and showing you off to all his friends and co-workers. I was going to let The Cellulite Cure go at the original asking price of $77, but I'm feeling good today and willing to make you a deal. So here it is... If you order The Cellulite Cure RIGHT NOW, I'm willing to shave off more than half the amount and give it to you at the bargain basement price of just $17. But, You Must Hurry... This special introductory offer will not last long. This 7-step system is much too POWERFUL and VALUABLE and in too high of a demand to keep it at this ridiculous low price! By ordering The Cellulite Cure Right Now I will give you an entire recipe eBook featuring over 25 Tasty Fat Loss Recipes. This eBook will give you wonderful ideas for planning out your daily meals. No more rabbit food and tasteless dry meals. You'll learn some GREAT recipes for meals such as "Chocolate Banana Protein Bars" and "Spicy Turkey Chili." ($17 Value) ...Yours today at No Extra Cost! It is designed to benefit YOU, not Big Business. It offers genuine nutritional information, not watered-down information designed to boost the sale of milk, beef and grains. Excel your cellulite burning properties with this honest food guide in hand! ($9 Value) ...Yours today at No Extra Cost! Get EASY and EFFECTIVE tips on how to improve your posture, relax better, cleanse your body, improve your sleep, reduce pain, caffeine detoxification, weight loss, stop smoking, improve allergies. Also, get critical vitamin and herbal information to keep you feeing young and fit. 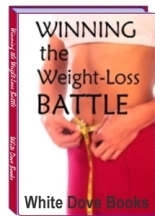 This eBook works well when combined with The Cellulite Cure. Filled with quick nutritional tips to keep you fit and trim. This is the natural approach to a healthy and fit life. 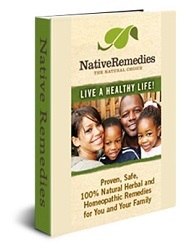 This guide contains 100% safe and proven remedies for cleansing your body so it can function optimally. The information contained in this interesting eBook works well with The Cellulite Cure so you can finally banish your nasty cellulite condition once and for all. 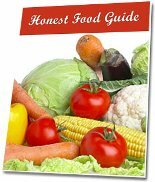 This is a great eBook for information and overall health. Get sound advice on how you can shift those extra pounds. It includes sections on all the most famous and popular diets and eating plans including: Atkins, Gi, High Fiber (Fibre) and Weight Watchers. In addition, it contains an interesting section on losing weight with Hypnosis - a very interesting and effective technique for some people. The basic idea is to program the mind for the weight-loss you require; and that has an effect on your eating habits which, in turn, means that you eat more healthily and consequently lose weight. With The Cellulite Cure VIP Membership Package you are never outdated! You will receive instant and updates of The Cellulite Cure when ever it's revised! Also, I'll send you a full year's worth of e-mail coaching to see you through your cellulite blasting journey! This VIP Package also covers you if you lose your eBook or your computer crashes. You will always have a copy of it with your VIP Membership Package. How much would you expect to pay to receive 30 years of researched, tested and provein cellulite information, that others are unwilling to share, that actually WORKS? Considering the amount of information and secrets, certainly hundreds of dollars would not be unreasonable. But relax, you won't have to pay near that much to receive these bodybuilding secrets. Yep, you read that right. You will only pay $17. But, you must hurry if you want to get rid of cellulite... This special introductory offer will not last long. This is much too valuable and in too much demand to keep it at this ridiculous low price! P.S. You deserve the truth about cellulite and you deserve to be cellulite-free with all the effort you have put in the battle so far. Don’t you think it’s time you got on the system that’s proven to work? Hey, no drugs, no surgery, no expensive creams. Just a proven 7-step system, that when applied, can show results in as little as 10 days! P.P.S. - Remember, hundreds of women are now cellulite-free simply by using my proven 7-step system outlined in The Cellulite Cure. You can be a cellulite-free success, too! You can have the same exact cellulite system, but only if you take action now. P.P.P.S. - This truly is a limited time offer and it's the absolute lowest price I will be offering it. You can come back tomorrow only to find the price of the 7-step cellulite cure program has been changed to it's original set price of $77. If you want to get rid of cellulite you need to start now. Don't Hesitate, Take Action Now! P.P.P.P.S. - Let me say just one last thing: If you ever wanted to get rid of cellulite easily and the healthy way, then there is no better opportunity for you than this one right here! It's up to you to take that action. © The Cellulite Cure 2019 and Beyond. All Rights Reserved.